for the Academy of Finland project "Climate and Solar Particle Forcing." 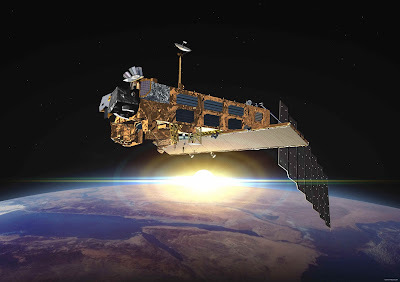 The work includes analysis of data from atmospheric observations and models. The position is at FMI Helsinki within the Earth Observation/Atmospheric Remote Sensing group and is available for 12 months in the first instance. Our group works on a wide range of topics on middle and lower atmosphere sciences and provides an interesting and active working environment for a young scientist. University degree (MSc or equivalent) in a relevant subject (e.g. in atmospheric sciences, physics, or applied mathematics). Ability to work as part of an active team, as well as independently if necessary. Good computing skills in unix/linux environment, including programming. Good verbal and written English language skills. Previous experience in meteorology, atmospheric models or atmospheric data. Experience in data analysis using Matlab. The position is available immediately. Salary is based on both experience and performance according to FMI pay bands; starting annual pay for a recent MSc graduate is about 27500 EUR and includes health care. FMI also offers access to in-house sporting facilities. Parking facilities and a locked cycle park are available. The institute is located at the University of Helsinki Kumpula science campus, next to the University botanic gardens. The deadline for applications is 15 March, 2013, at 13:00 GMT (15:00 Finnish time). Please send your application, including a CV, to kirjaamo -at- fmi -dot- fi (CC: annika -dot- seppala -at- fmi -dot- fi). More information is available from Academy Fellow Dr Annika Seppälä (e-mail: annika -dot- seppala -at- fmi -dot- fi). For information on the Atmospheric Remote Sensing group see http://ikaweb.fmi.fi. 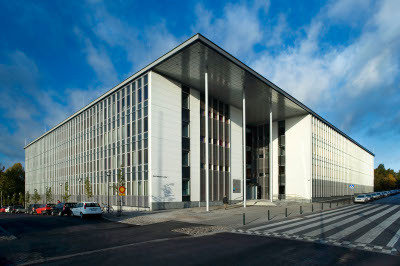 Images: Envisat satellite and Finnish Meteorological Institute headquarters.